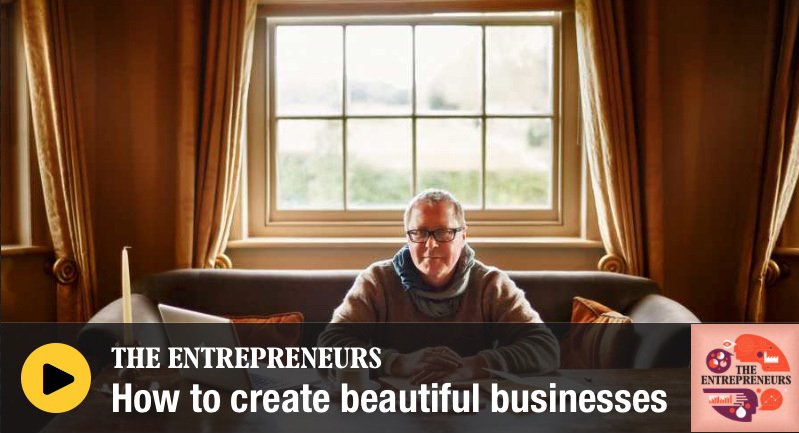 Coming Soon: The Beautiful Business Radio Show will feature everyone from makers and designers to leaders and entrepreneurs, showcasing how they create beauty in their business. I’ll discuss with them what it’s like to work in this way, and how it benefits their business. Konrad is the founder and CEO of Falcon who source green coffee from eighteen producing countries, and work with coffee roasting companies all over the world. Konrad talks about purpose before profit, which means creating a resilient supply chain benefiting the growers over the long term. In this interview Konrad touches upon the same theme as Fiona which is the shift in the values of young people who want to buy ethical goods with traceability, who want to work for companies that are purpose driven. Alice is a designer, a maker of all things in wood. Alice shares her views on what a life of craft gives her — A joyful life of enduring satisfaction. Explaining the importance of having respect for the living material she uses – wood, Alice touches on the need for meaning connected to living an authentic life. How and why ‘craft’ as a practice is so deeply wedded to our humanity. What we may have lost. Which is maybe a clue as to why it is that people are increasingly looking for the handmade, the authentic. Because there is truth in beauty and beauty takes us home. Talking beauty with Chef Christian Puglisi. Christian is the founder of Relae in Copenhagen, it is of the only organically certified Michelin star restaurant in the world. Christian shares his ideas and beliefs on why; the quality of food, quality of leadership and the quality of experience for his customers is key to a beautiful business even a way of living. We talk about authenticity, purpose, and whether one can really make great food without love. Menno van Doorn is Director of the Sogeti Research Institute for the Analysis of New Technology (VINT). Menno shares his views on emerging technologies, Facebook anxiety, Robotic optimism, ‘machinefulness’, how AI might save us from ourselves, self driving transportation, why we need an approach to technological design that is beautiful creating happiness. Centre stage is our humanity. Fiona Reynolds, Director General for the National Trust, now Master at Emmanuel College and a campaigner for protecting our natural environment for many years. Talks to me about why the human spirit needs beauty and cant live without it. Why the loss of the word beauty in economic and business language does us so much harm, and why we need it back. Lastly Fiona talks about Millenials returning to a values based view of the world that gives her hope. A beautiful conversation with Geanne van Arkel, Head of Sustainable Development, Interface EMEA. We talk about not only sustainable business that can be profitable. But businesses that are regenerative, restorative and resilient. Purpose, and, design play a vital role in crafting a company that delivers on those goals. I talk to Rod Drury CEO of Xero, an accountancy software company. We discuss the idea of legacy, beautifully written code, why beautiful businesses are the future, and why craftsmanship plays such a key role in Xero’s enterprise design and customer experience. Rod Drury is a different sort of leader. Peter Childs, the inspiring Head of the Dyson School of Design Engineering at Imperial College London talks to me about beautiful AI and beautiful Automation. Founder of Do Lectures and Hiut Denim, Dave Hieatt asks about why beauty is wanted in business today. Beauty helps us see past the superficial and delve into the foundation of how things work. My talk at the Hay Literature Festival explored the ways of seeing and understanding beauty in all its incarnations.